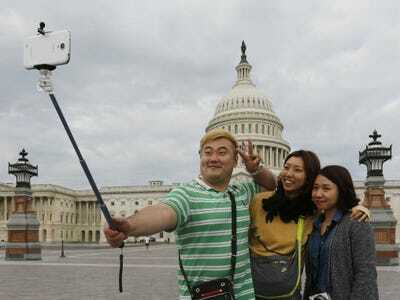 The South Korean government has launched a “crackdown” on selfie sticks, the telescopic poles that people have started using to take selfies. AFP reports that anybody found selling a selfie stick could face three years in prison or a $US27,000 fine. The new punishments have come about because the government has declared selfie sticks “communication equipment,” meaning that they have to be tested and certified. Selfie sticks usually work using bluetooth to trigger the shutter and take a photo, which means they fall under the more regulated category.